All GRAYHAWK PARCEL 2G (A) EA homes currently listed for sale in Scottsdale as of 04/23/2019 are shown below. You can change the search criteria at any time by pressing the 'Change Search' button below. "Amazing 5 bed/4.5 bath single level custom home located in the heart of one of North Scottsdale's most desirable communities, Retreat at Grayhawk! 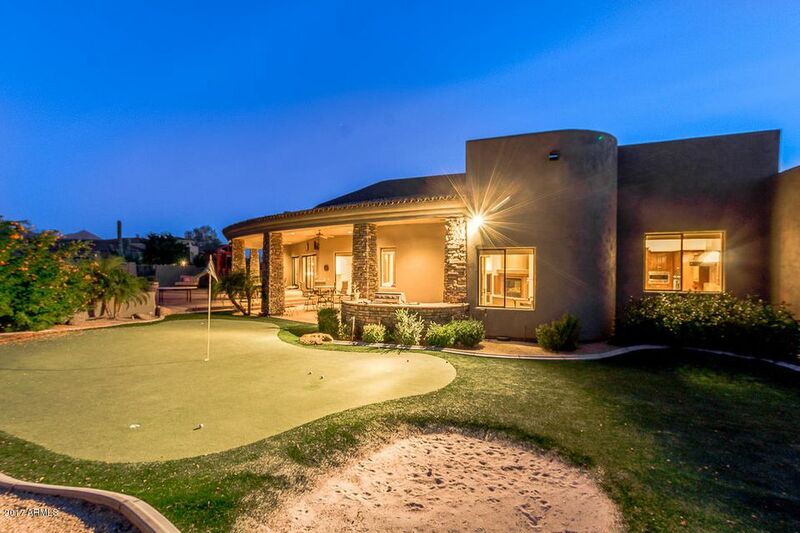 Sitting on a large private cul-de-sac lot(35,000+sqft), this open concept masterpiece has a lot to offer including: Courtyard entrance, vaulted ceilings, entertainment area with a bar & dual sliders that open to a resort style yard with pool, putting/chipping green, & stunning mountain views. Master suite with his & hers closets, wrap-around shower & "